3. Treasurer, Rabin, 9W2PD and Dr. Chow, 9M2CCO also joined in as observers. submit any reports due to lack of archival information on the IARU website. inform that IARU directors has started work on this proposal in Region 1. 40m that are packed with activities most of the time. reciprocal licensing and we are working towards making this a success. --> FULL VERSION REPORT BELOW. 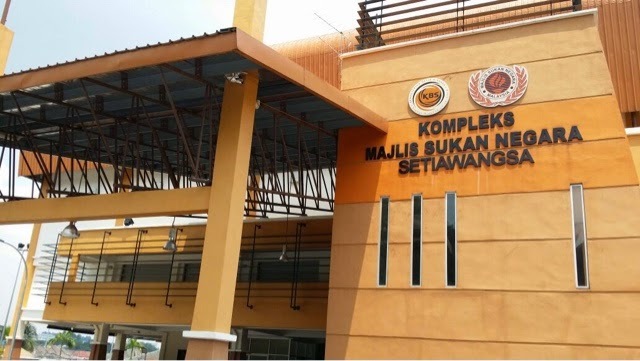 NOTICE IS HEREBY GIVEN that Annual General Meeting year 2016 of Malaysian Amateur Radio Transmitters' Society (MARTS) will be held at Kompleks Sukan MSN Setiawangsa, Kuala Lumpur on 27th February 2016 at 10am. The council members was nominated for a 3 years term at the 2015 AGM. Thus, there will be no election for the councils member until 2017. 2. To discuss matter arising from the minutes of 2015 Annual General Meeting held on Saturday, 30th May 2015 at Setiawangsa MSN Sports Complex. 4. To discuss on resolution/amendment to the Constitutions. 5. Any other matters with permission of the chair. Based on recent meeting with MCMC held on 28th January 2016 at Cyberjaya. The Global Simulated Emergency Test ( GlobalSET ) started on 18th December with a 24-48 hour timelimit for Emergency Communications Groups around the world to carry out an availability exercise, contacting their members to find out how many would be available within 1-12 hours. Malaysia took part in the Test while initial results have proved that amateur radio can respond quickly to an emergency call, even one on a working day, there has also been a great deal to learn about the reliability of the systems we use and the resilience of our structures. An email has been sent to all societies in Malaysia to participate in this exercise. MARTS conducted 2 Meter NET on 19th December 2015 at 2100 MST and volunteered NCS 9W2FMC from Puchong. Total of 36 stations check in. More than 50% ham radio operator in Malaysia replied they able to respond within a hour. Thank you to NCS 9W2FMC and all ham radio operators in Malaysia for participated in this exercises. MARTS for the first time in 2015 has conducted a 2 Meter Net Session purposely to test a southern linking repeater performance from 9M4RLG - 9M4RLM - 9M4RPM. It is with great sadness that we mourn the loss of our former Vice President and friend 9W2AC (ZOLKHONAIN BIN NORIZAN). He unexpectedly passed away on Tuesday Oct 13, 2015, at Hospital Ampang. It is a great LOSS to MARTS and ham radio in Malaysia. * Thanks to 9W2AA for relaying the news.